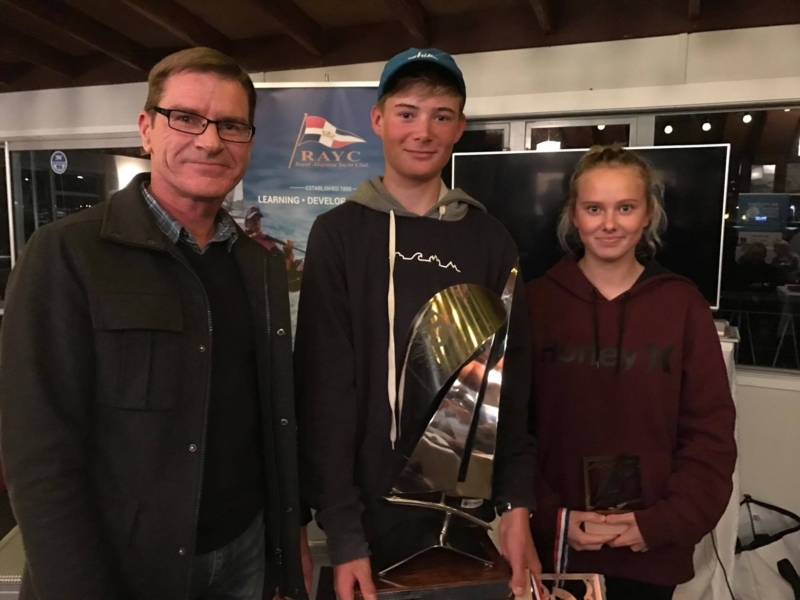 Our RS Feva World Champions, Eli Liefting and Rose Dickson, were welcomed home on Friday evening the 11th August to a huge crowd of well wishers at the club. Eli & Rose answered a variety of questions during a Q&A session and spoke about how they weren’t 100% confident that they had won the championship. They had to wait for officials to confirm it to them when they motored over and began interviewing them saying congratulations. 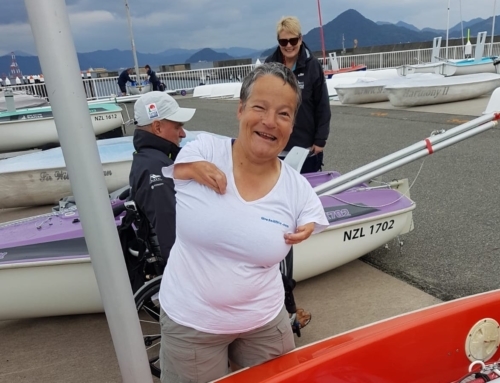 Rose almost didn’t make it through the entire regatta after injuring three fingers. Thankfully she was able to keep going with much relief from Eli. Somehow Eli’s mum Shelley was able to convince the world championship organisers to ship the trophy to Auckland and it was unveiled to Eli and Rose on the night. They were both in shock to see the trophy as they had been told there “no chance” it was going to allowed to travel with the winners. Our very proud Vice Commodore, Steve Delahunty, presented them with the trophy in front of the home crowd to loud cheers of excitement. “RS Fevas are a really good boat and I’m really glad that we got into them. Thanks to RAYC for purchasing the boats all those years ago and giving us the opportunity to race them,” said Eli at the end of the evening. Eli also thanked his parents, coach Chris Dickson, the club and Rose for being a part of the amazing campaign. 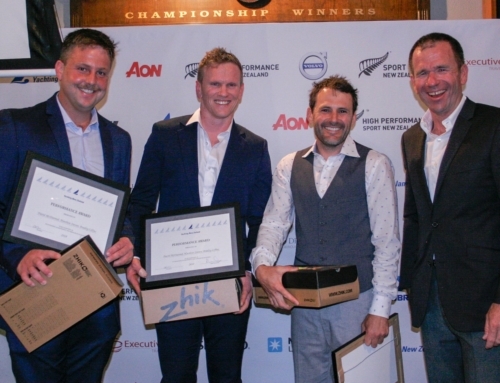 RAYC has eight RS Feva’s and is now home to the current NZL and World Champions making the club the most successful RS Feva club in New Zealand. The Feva is used for both racing and in our learn to sail courses. Opportunities to get into the Feva class are now available for Term 4 Sailing Academy. Click here to view the courses. Correct me if I’m wrong but I’m pretty sure Eli & Rose are the youngest world Champions that Yachting has produced..